Signature Orange Blosson Honey scent in a purse size germ-killer (kills 99.9% of germs). 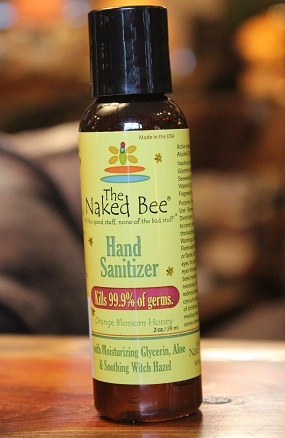 Alcohol based, to kill the germs, but also contains glycerin, aloe and witch hazel to prevent over drying of your hands. Made in Tennessee, just over the mountain from our store!